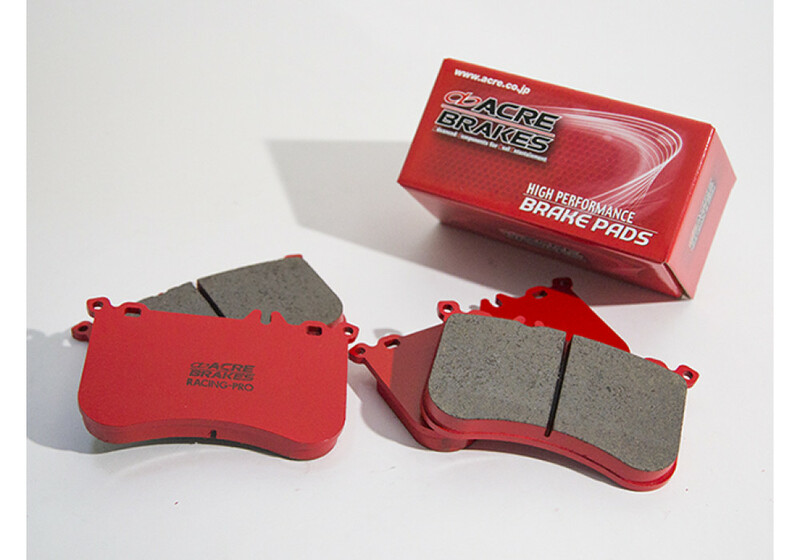 Racing use brake pads from Acre Brakes. This pad is designed specifically for competition use only. Acre recommends this pad for short endurance events or track days. Users in Japan have had great success in racing series with this pad; those racing Silvias, and Miatas in particular! This pad will pair up nicely with sport tires or racing slicks; as well as beginners or advanced users. Acre designed this pad to offer the driver an immense amount of control over braking force and go the distance in a sprint race or short endurance event. Acre Racing Pro Brake Pads should be ordered at REV9 Autosport https://rev9autosport.com/acre-racing-pro-brake-pads.html as they provide the best service and speed we've seen so far!